0.59 Cts Blue & White Diamond Ring in 10K Two Tone Gold . 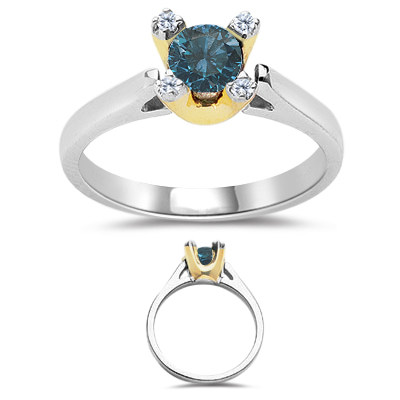 This fascinating Blue and White Diamond Two Tone Ring displays a chic Blue Diamond, accented with four sparkling Diamonds prong set in 10K White and Yellow Gold. 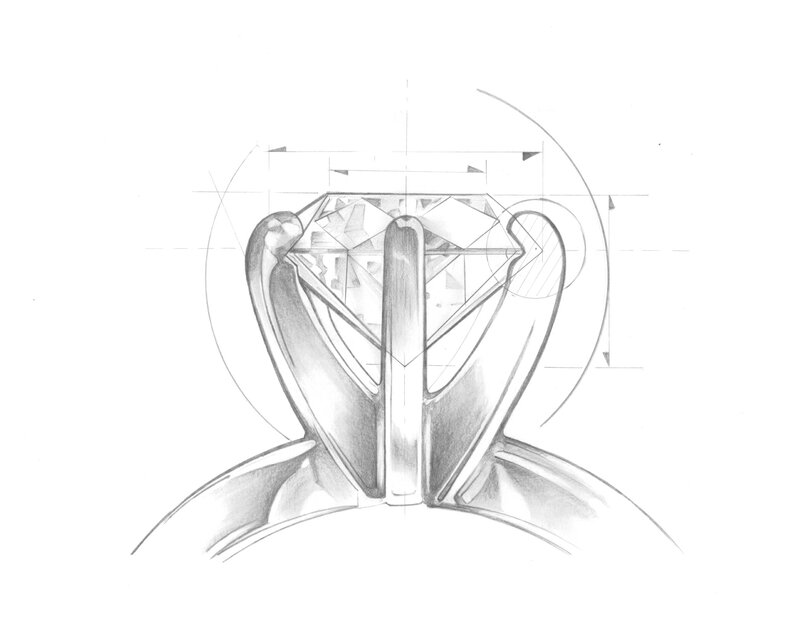 Approximate Diamond Weight: 0.04 Carats. Approximate Color Diamond Weight: 0.55 Carats. 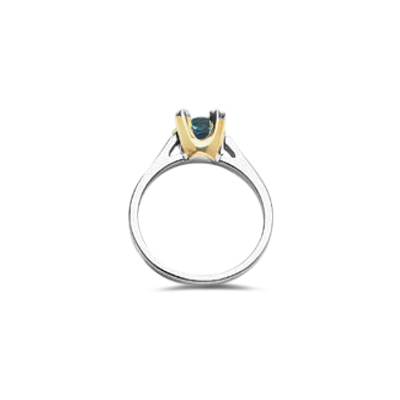 Exhibit impeccable style with this enticing ring.